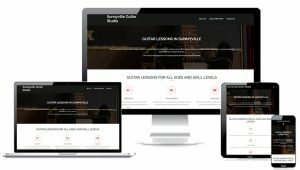 As a Gold Live and Teach Guitar Member you will have access to all the best advice, support and resources to promote yourself in the right way and attract more students. Every guitar teacher has different needs. Some teachers need a simple website which can be ready to start attracting students within a few weeks. More complex websites can take longer (eg: if you want to sell online courses or have a student's only area), but we will work closely with you to ensure you end up with exactly what you need. Contact us here to let us know what you need from your website. What will be my website address? We'll work with you to find the best domain name possible for your business. If you already have a domain name, you can choose to use it to try to find a better alternative if possible.